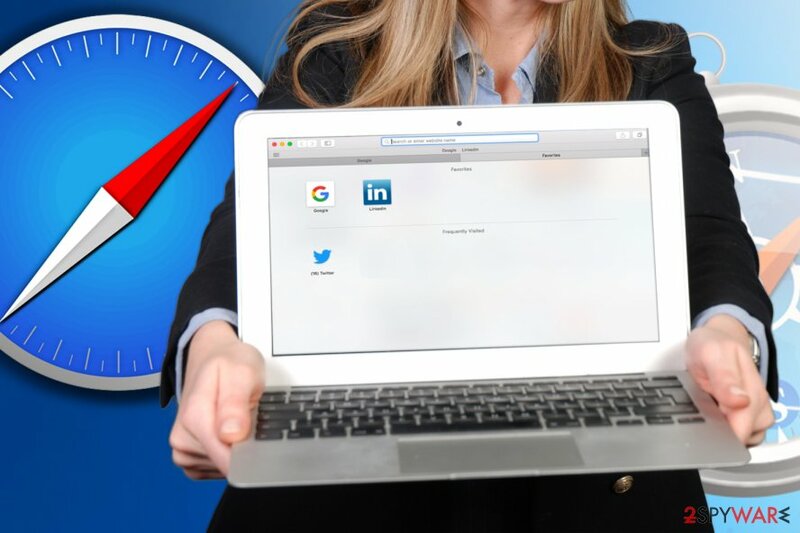 If malware has altered your regular Safari settings or you simply want to start fresh with a clean, uncluttered web engine, the best option you have is resetting the browser. 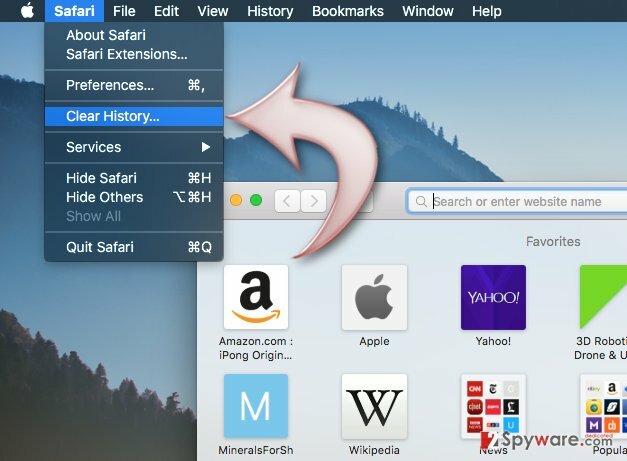 While in the earlier Mac OS X versions Safari can be reset using the “Reset Safari… “ option, the latest versions including Yosemite, El Capitan, and Sierra do not offer a quick recovery option. 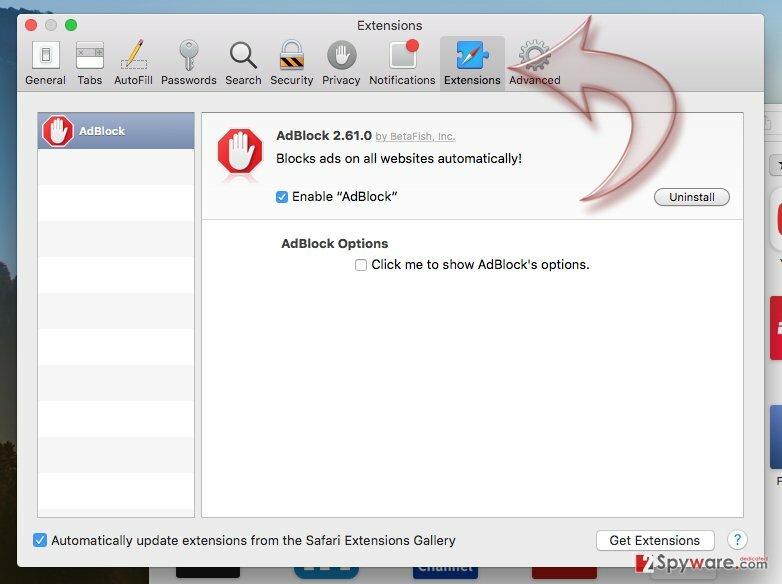 Thus, you will need to perform several methods to reset your Safari completely and solve its problems. 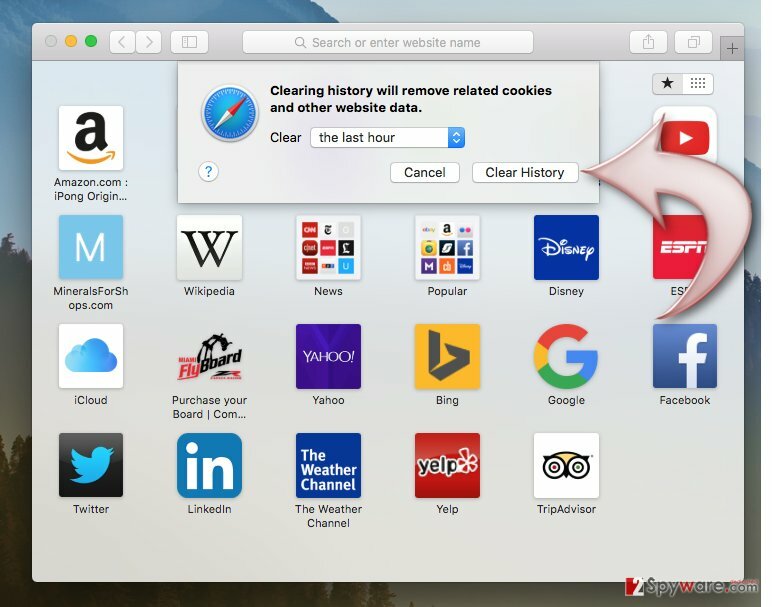 Please note that, during the process of Safari reset, you will be able to remove all the installed extensions, themes, cookies, website permissions, browsing history, reset location warnings also clear the downloads list, and AutoFill text, saved passwords and login names, etc. If you don't want to lose some relevant information, make sure you backup your data before commencing with the reset. Once you do so, perform methods given in this guide. 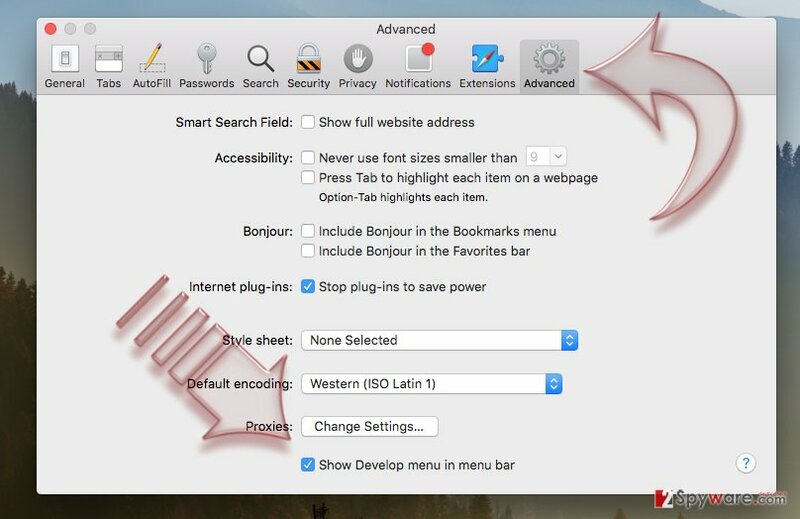 In the Safari menu navigate to "Preferences..."
Preferences window will open in the General tab. Exit this tab by clicking on the Advanced option and then click on the empty checkbox next to "Show Develop menu in menu bar"
Choose the desired time frame of data removal and click Clear History. The Develop tab will appear in the top toolbar. 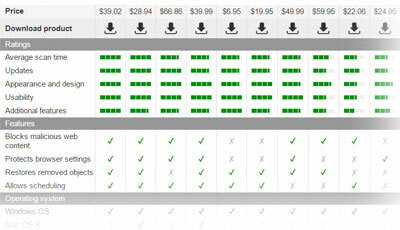 Click on it and select Empty Caches. 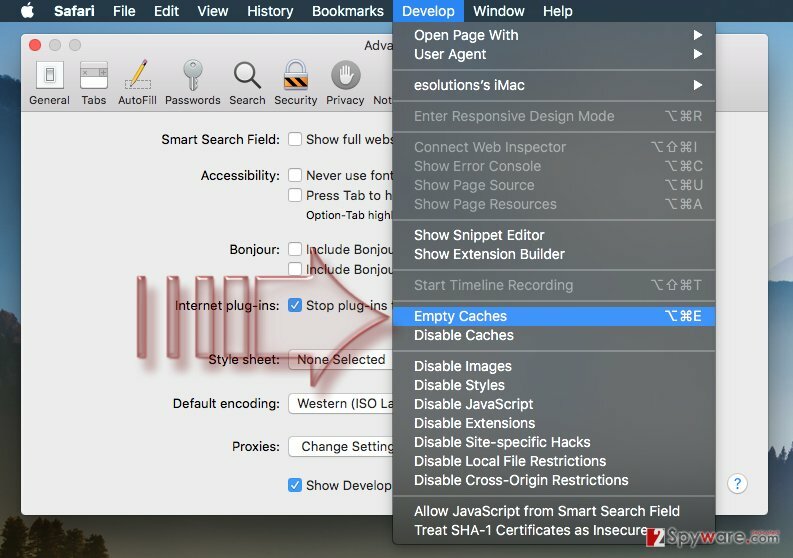 A quicker way to achieve cache cleanup is by simultaneously pressing Option + Command + E.
It is not uncommon that browsers start behaving strangely after the occurrence of new extensions or plugins. 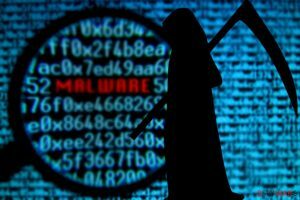 This usually happens when extensions and plugins, which suppose to improve browser experience, are employed by shady software developers to collect information, redirect users to unfamiliar and often dangerous websites or even phish sensitive login credentials or banking information. If previous methods didn't help you fix your browser, it is important for you to indicate the malicious browser add-ons and terminate them. To disable undesirable extensions and plug-ins, execute the steps explained below. 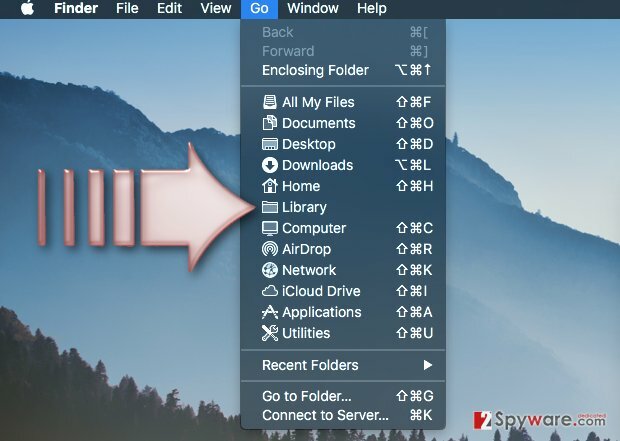 In the pop-up menu select the Extensions tab and carefully go through the list of extensions looking for unfamiliar and suspicious entries and uninstall or disable them. Also, you may disable all the extensions at once and check whether the problems you are experiencing are related to some corrupted browser add-ons or stem from elsewhere. Reboot Safari when you are done with these steps. 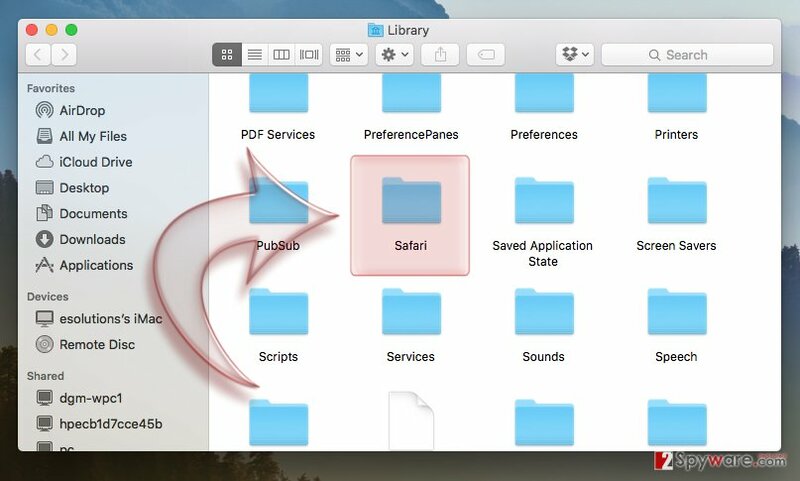 In the new window locate Safari folder and move it to your desktop or somewhere else. 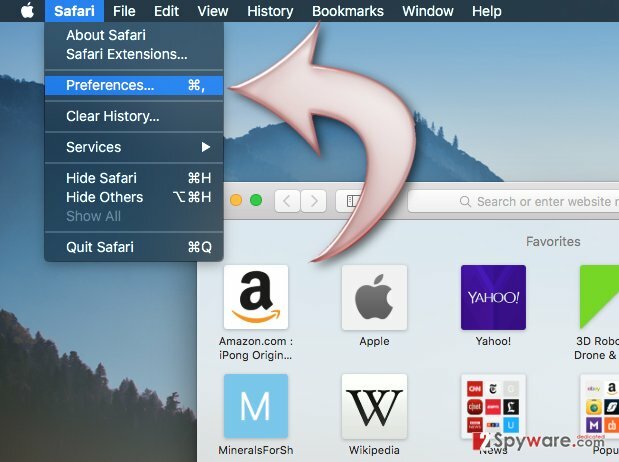 A combination of the manual and built-in features should help eliminate issues that are occurring on your Safari browser and allow you to enjoy regular browsing again. This entry was posted on 2018-07-05 at 01:52 and is filed under Uncategorized.